Contact Us - Irish dance dresses. If you have been invited to enter our web then please log in above using the details given. No Invitation? Please complete the simple form below. 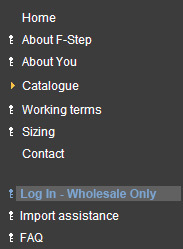 Full access is restricted to Verifiable Vendors. If you don't have a web that we can see, then please outline the nature of your business & how we may serve you, in the box at the bottom of the page.